Felony snowball throwing charges have been leveled against two Virginia college students for allegedly pelting a city plow and an undercover police car during Saturday’s blizzard. Charles Gill and Ryan Knight, both 21, were nabbed by cops in Harrisonburg, where they attend James Madison University. According to police, the pair first targeted a city plow last Saturday afternoon. …If convicted of the felonious snowball tossing, the men each face between one and five years in prison, and a maximum $2,500 fine. 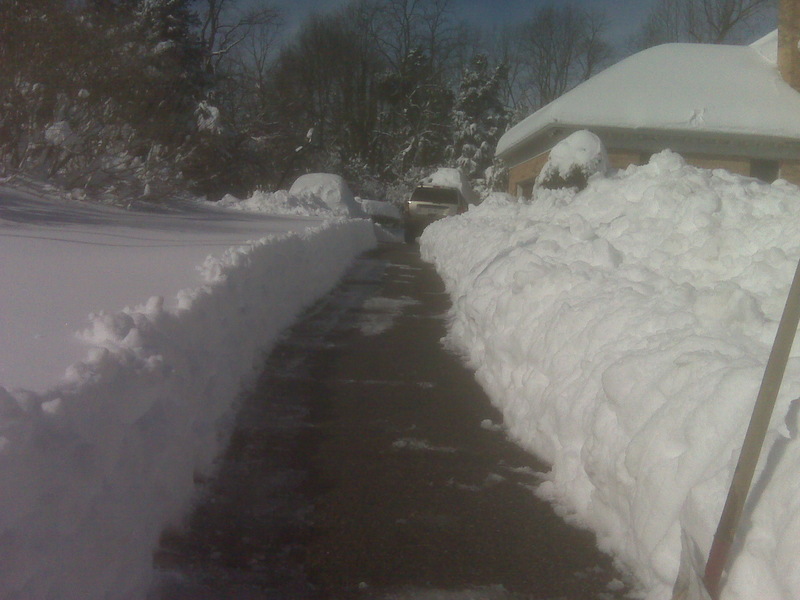 While D.C. residents take out their snow shovels for untold hours of back-breaking labor, the Office of Personnel Management estimates that the shuttering of the federal government is breaking the bank as well — costing taxpayers about $100 million every day in lost productivity, or work that’s not getting done. With Friday’s half day, and three full days of government shut-down this week, that adds up to $350 million — and it could top $500 million if the government, with its 230,000 D.C.-area employees, remains closed through the end of the week. One of the key principles of economics is specialization of labor. Simply stated, people should specialize is doing what they do best. But either because I’m cheap or because I have this delusional sense of pioneer spirit, I’m digging out from the blizzard. So the bad news is that I’m not applying the lessons of economics. The good news is that I’ve reached the halfway point.